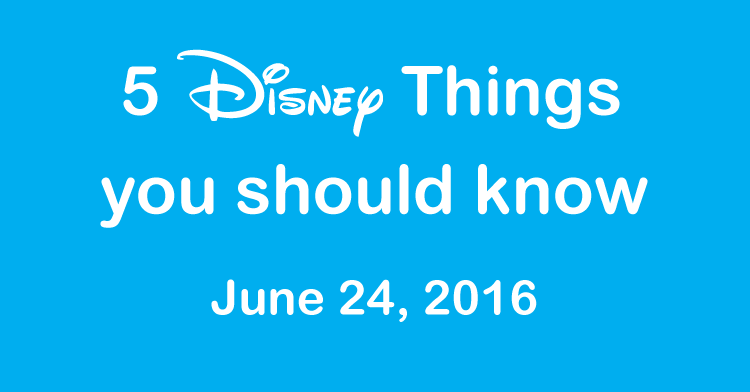 Each Friday, I provide 5 Disney things all Disney fans should know from this past week, just in case you missed them. This week, we feature news from Walt Disney World, Disneyland as well as other Disney parks around the world. See what I did there? A few weeks ago, a new Frozen stage show opened at the Hyperion theater in Disney California Adventure. It replaced the long running and super popular Aladdin stage show. Early reviews of Frozen Live have been off the charts fantastic, and the show has been extremely popular and seats have been hard to come by. Well, now you can get reserved seats, along with some yummy treats. 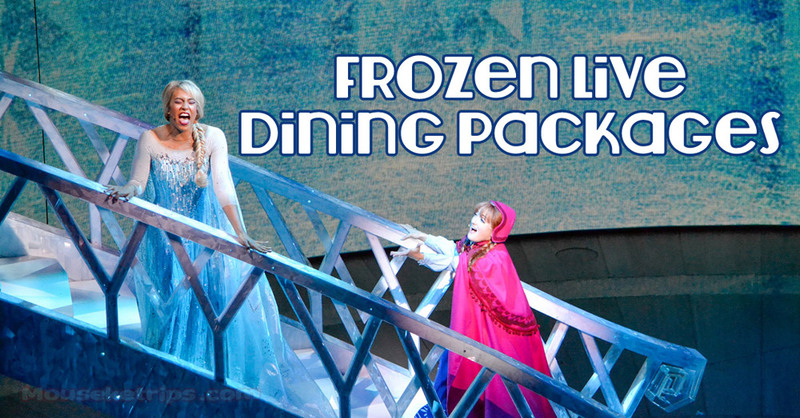 Disneyland has launched three new Frozen dining packages, everything from just snacks to a complete dinner are available. Booking is open now, the first packages are available for dates starting next week. Every year, the Magic Kingdom comes to life with the holiday parties, Mickey’s Not So Scary Halloween Party and Mickey’s Very Merry Christmas Party. While these parties offer plenty to do, Disney has just introduced new dessert parties during the parties if you want to add a little more to your night in the Magic Kingdom. There are no tricks, just treats during the HalloWishes Fireworks Dessert Premium Package, available during Mickey’s Not-So-Scary Halloween Party, select nights from September 2 to October 31. This frightfully fun package begins with reserved viewing of Mickey’s “Boo-To-You” Halloween Parade on Main Street U.S.A. and is followed by a private fireworks dessert party at Tomorrowland Terrace. 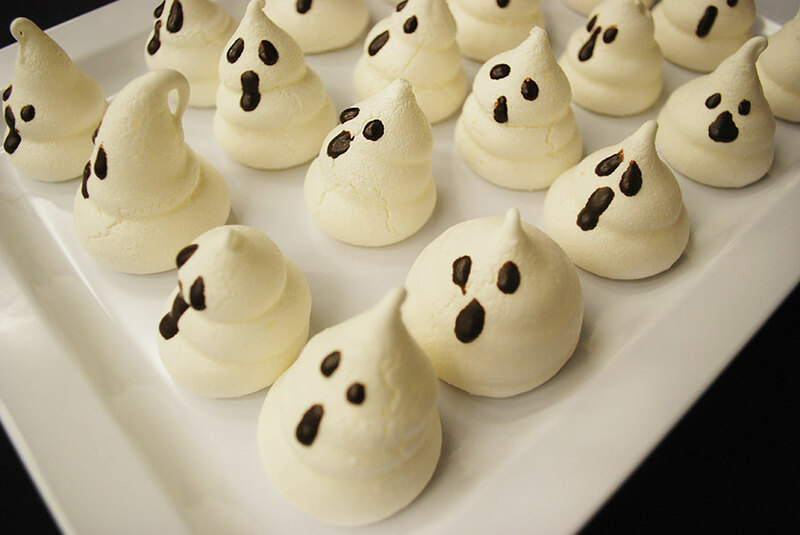 Enjoy Halloween-themed confections while you take in the spectacular Happy HalloWishes fireworks. If you’re planning on attending Mickey’s Very Merry Christmas Party, have a holly jolly time at theWishes Fireworks Dessert Party, select nights from November 7 to December 22. Take in Mickey’s Once Upon a Christmastime Parade with reserved viewing on Main Street U.S.A., afterwards, take in fa-la-la-fantastic views of Holiday Wishes: Celebrate the Spirit of the Season fireworks while enjoying festive treats at a private dessert party at Tomorrowland Terrace. Dinner reservations for The Crystal Palace Restaurant, Be Our Guest Restaurant and Cinderella’s Royal Table are also now available for party nights. The Magic Kingdom finally has a new stage show, presented daily right in front of Cinderella’s Castle. Mickey’s Friendship Faire replaces the long running Dream Along with Mickey, and features magic, music and merriment. Against the majestic backdrop of Cinderella Castle, Mickey Mouse and his friends welcome favorite characters from some of Disney’s newest classics: “The Princess and the Frog,” “Tangled” and “Frozen.” The show celebrates the unique stories of the citizens who make up this magical kingdom and the wonderful moments that can happen when we try new things, go to new places and get to know new friends. 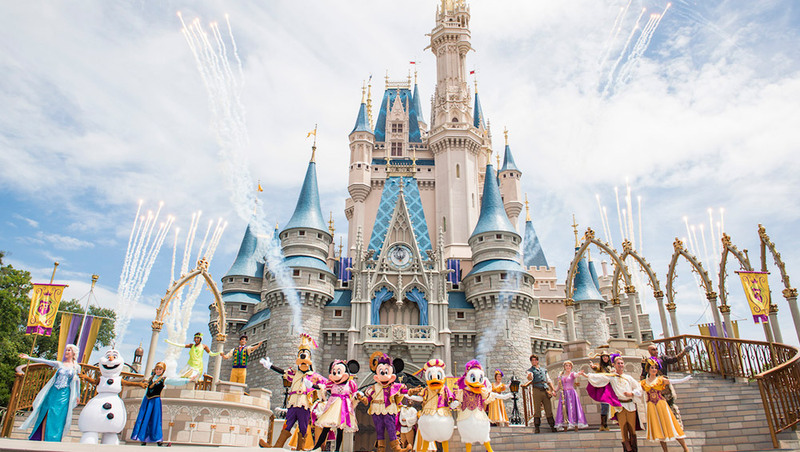 “Mickey’s Royal Friendship Faire” features fifteen Disney characters, a musical score recorded by the London Symphony, the original song “On This Day” by composers Brendan Milburn and Valerie Vigoda (“Tinker Bell: Secret of the Wings”), elaborate costumes, special effects, a dazzling display of daytime fireworks and more! Soarin’ Over California has been one of the most popular attractions at Disney since it’s launch. This week, Disney replaced the long running Soarin’ film with a new version, Soarin’ Around the World. 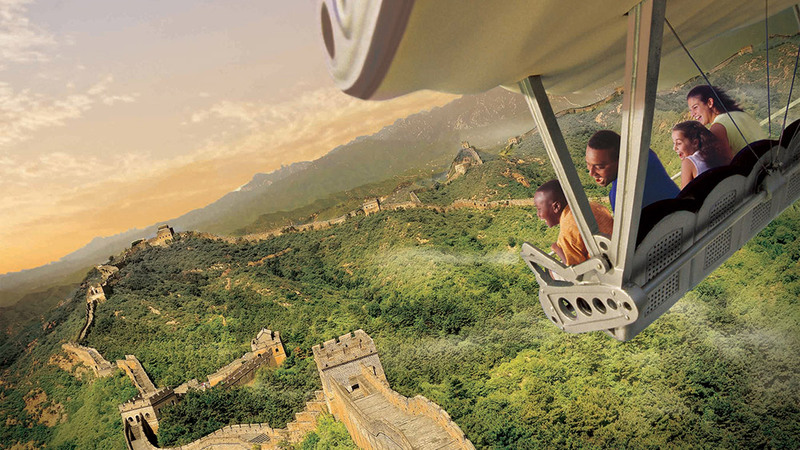 Soarin’ Around the World elevates guests up to 40 feet into an 80-foot projection screen dome that fill’s a guest’s entire field of vision that gives them the sense of flight. During their journey, guests can expect to spy jaw-dropping natural and man-made landmarks like the Great Wall of China, Sydney Harbor in Australia, and the Matterhorn in Switzerland. Not only that, but a guest may find that their other senses are engaged, feeling, smelling and hearing the new world around them. Episode 3 of the Inside Disney Parks newscast is now available, and includes Frozen Games at Disney’s Blizzard Beach, Animal Kingdom at night (hint, it is awesome! ), Frozen Live, a Duffy Monorail in Tokyo and a cool POV video of Big Thunder Mountain. Enjoy!